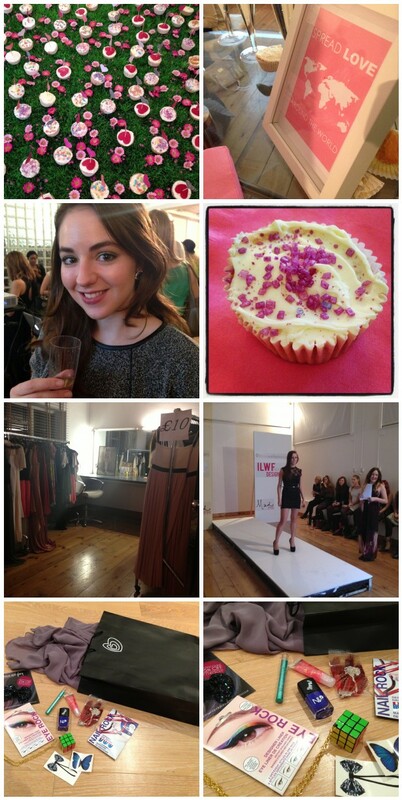 A week ago I was very lucky to win a pair of tickets to the in love with fashion event held at Mad PR's base. 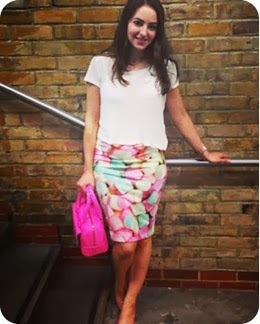 The giveaway was running on the gorgeous Arabella's blog, who is just as lovely in real life! We were greeted by the very friendly Sophie from Mad PR, a goodie bag and an abundance of champagne! The event was to mark the final of their 'next top designer' competition, with the evening culminating in a catwalk to decide the winner out of the 5 finalists. I was wearing a dress from the Lana Del Rey collection at H&M - a perfect office to evening dress, and emerald earrings from Primark. The goodie bag was very exciting; including one of their dresses (post to come), Barry M items I was after anyway and lots of other goodies. I want to spread the love so some items will be part of a big giveaway soon! Hi Cath, I came across your blog and really like it. I was at Bicester Village as well. Did you find any goodies? Maybe we can go together for the Christmas sale. really pretty. I love the pics.